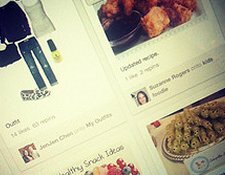 Are you using Pinterest? I love Pinterest, but it is a dangerous place to be. I think it is even more dangerous than Facebook. I just popped back over there for a minute to look at something and off I go down a trail of amazing holiday destinations or off on a food frenzy. I always say that if you aren't already on a platform don't jump on board just for the sake of it. Pinterest is a great place but it is also another thing to manage in your business. If you are on there though, it would be great to connect. You can also, of course, connect with me through the widget in my sidebar. In this video I show you how to add a Pinterest Widget to the sidebar of your site. We look at creating a widget for your entire account or for just one board. If you are on Pinterest leave your link below. I would love to pop over and visit you! Pinterest is a great source of traffic for both your blog and your YouTube channel. This means it is a great place to add your content for more people to see it. 2. To have the video play directly in Pinterest. In this video I show you how to do that. People can actually watch the video in Pinterest without having to leave. The only thing to note when doing it this way is that the link will take people to your YouTube channel not to your blog. So, if the main aim is to get people to your blog you will want to use the first option I mentioned. Are you sharing your videos on Pinterest? I will love to hear your results. Leave them in the comments below. 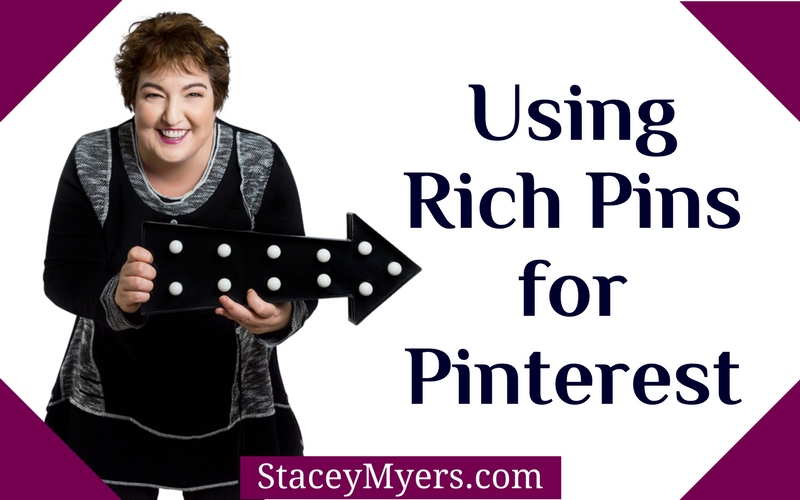 Are You Missing Out on Huge Amounts of Traffic from Pinterest? One of the social media platforms I am planning on spending more time on this year is Pinterest. Pinterest is driving a lot of traffic to people's websites and, as you know, that is one of the things I really like about Twitter. The more people that visit your site, the more people know about you and the more clients you will get. This article is more like a mini ebook than a blog post it has so much content – The Complete Guide to Getting Started on Pinterest. In the post ‘Pinterest – What is all the Interest?‘ we looked at what is so appealing about Pinterest. We are now going to look at ways people are using Pinterest in their Businesses. There are a lot of articles out there on this, so I am sharing the ones I found most useful. For those of you that are not familiar with Pinterest. Pinterest lets you organise and share all of the beautiful things you find on the web. It is also the latest social network craze site that is having almost 12 million unique monthly visitors. Tia wrote ‘50 Top Tips & Best Ways to Use Pinterest for Business‘. The headline pretty much tells you what the post is about. She talks through using Pinterest to hold contests, build your brand, grow your community and many other ideas. Sprout Insights wrote ‘10 Creative Ways to Use Pinterest for Marketing‘. They break these down into three categories – Indirect Marketing, Integrated Marketing and Direct Marketing. Linchpin SEO created an Infographic – ‘Ideas for Marketing Your Product on Pinterest.com‘. I have included the Infographic below, but please visit the post as there is a lot of other information and ideas of how to promote your business. Last, but not least, John Brandon on Inc. wrote ‘9 Tips – Boost Your Business with Pinterest‘. One action that pretty much every article recommends is having options on your website to both share content and also to connect on Pinterest. You can find all of the necessary information on Pinterest's Goodies page. See you Pinterest! You can find me at www.pinterest.com/staceymyers. Would love to hear how you are using Pinterest for Business. Stacey is a coach, trainer and speaker who supports Authors and Aspiring Authors create an online presence through WordPress and Social Media training. Stacey's hands-on style, supportive nature and extensive knowledge make her the perfect go-to resource. Pinterest – What is all the Interest? Ok, so I have finally decided to see what all the fuss is about over there at Pinterest. I only ever started an account as it was a little task we had to do in one of the groups I am in. I set up a username, but that was about it. Then every day I was receiving notifications that this person and that person were following me. Great! Every time I received an email I cringed a little inside. I knew my Pinterest profile was rubbish and that I did only have one board titled ‘Other People's Pins', as I did not have a clue what I was doing. I also had the little voice in the back of my head telling me what I have told many a new person on social media – ‘Don't open an account if you are not going to set it up properly, it is like opening up a shop and having nothing to sell'. By this time I was a complete hypocrite. The articles about Pinterest were swirling round the internet and I had been trying to pretend that this whole thing was not another social media site I needed to know about and that it would just go away. Well, clearly it is not going away anytime soon. There were a few final things in a row that had me finally pull my head out from the sand and start taking a good look at this Pinterest craze. 1. I subscribe to quite a few blogs and practically every blog had at least one article about Pinterest. 3. In a casual conversation with one of my friends I mentioned that sometimes before I go to bed I might play a game of solitaire on my iPad. She said, ‘Oh, Stacey, really, I would much prefer to have one last check in on my Pinterest account before going to bed, it is much more interesting than that'. So, I went investigating this craze that had turned my perfectly sane and rational friend into a pinning frenziest! I logged into my account and stared blankly at my empty boards and wondered what the heck I was going to do with them. Ahh – YouTube will have all the answers. The first video I found was this one – short and to the point, it explained what Pinterest was and how big it was getting, but not what to do. Then I looked around for some that were going to tell me what to do and then this video caught my eye. Pinterest SEO – now we are starting to talk my language. Thanks Kathy Dalpra! Kathy is a wedding professional that helps other wedding professionals with social media. Her video is coming from that context but can be modified for any niche. I personally found it quite informative. Being the original thinker I am, all I could come up with to make a board about were my favourite books. I found the Pinterest Chrome extension so that I could ‘pin' from any website and off I went, straight to Amazon. Pinned a couple of books and then was bored of that and went off to find other things to do on the internet that were of more interest. Not one to give up that easily I went back in for another go and found this little ‘how to' video that Beth Hunter made. So, that will give those of you, like myself, that did not have a clue what they were doing an idea of how to get started on Pinterest. In an upcoming post I will share a few of the hundreds of blog articles out there about how to use Pinterest in your business. Until then, I think I will stick with my favourite quotes and books. If you would like to check out my exemplary boards you can find me at – http://pinterest.com/staceymyers/. Would love to hear if, and how, you are using Pinterest.